The beauty of mixed martial arts as a sport is the ability to utilize so many different weapons to try to win a fight. Each has its advantages and disadvantages, and each style tends to have a vulnerability to at least a few others. But what if you could eliminate those holes and create the perfect fighter -- capable of attacking and countering the best in the world at every turn. 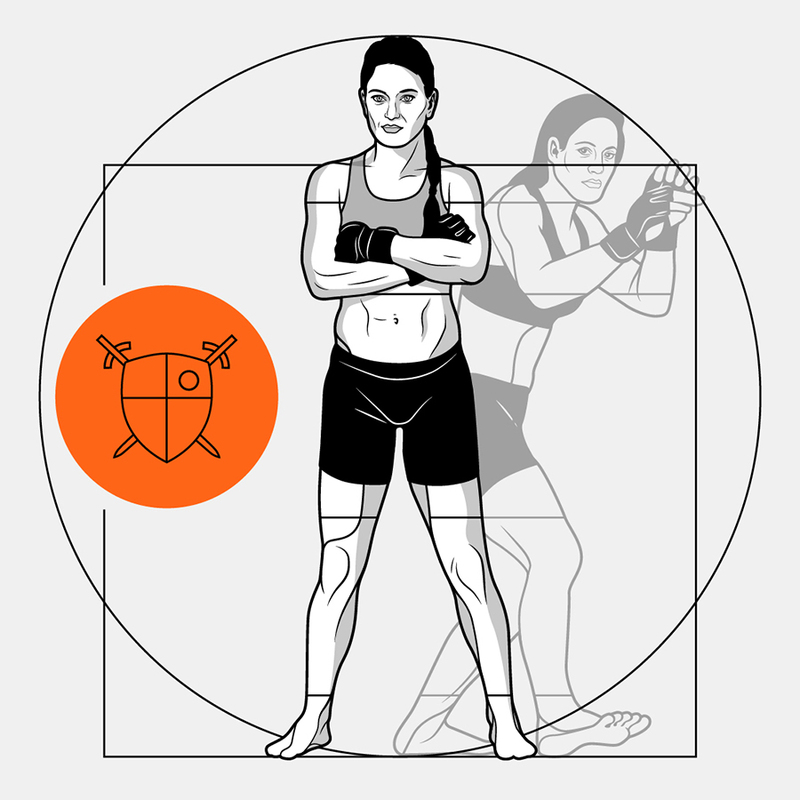 After building the perfect male fighter in November, our panel of ESPN MMA experts voted on and determined the best active female fighter to represent 10 different key fighting traits -- and the end result collectively created their vision for the perfect female fighter. All artwork courtesy of Todd Detwiler, special to ESPN. Since arriving in the UFC in 2014, no woman has waged mental warfare quite like Joanna Jedrzejczyk. From giving Carla "Cookie Monster" Esparza a cookie at the weigh-in for their title fight in March 2015, trash-talking Claudia Gadelha and the now infamous messages written on her water bottles, Jedrzejczyk's ability to get in her opponents' heads has become legendary. 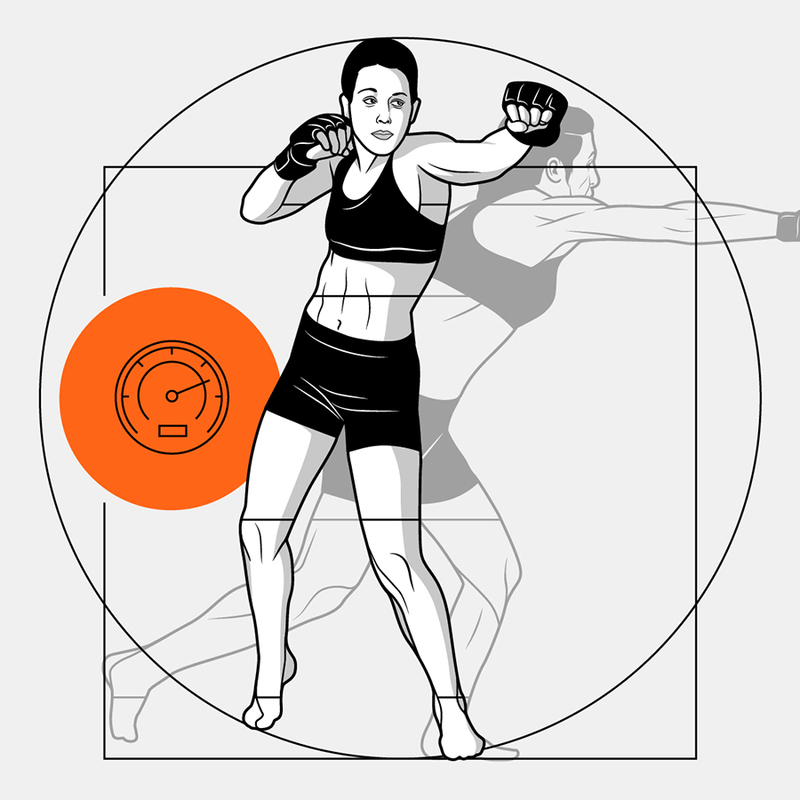 She also has displayed exceptional wits inside the Octagon, by measuring distances and dictating the fight. Not many women can go five rounds with Joanna Champion and look no worse for the wear, but Kowalkiewicz did. 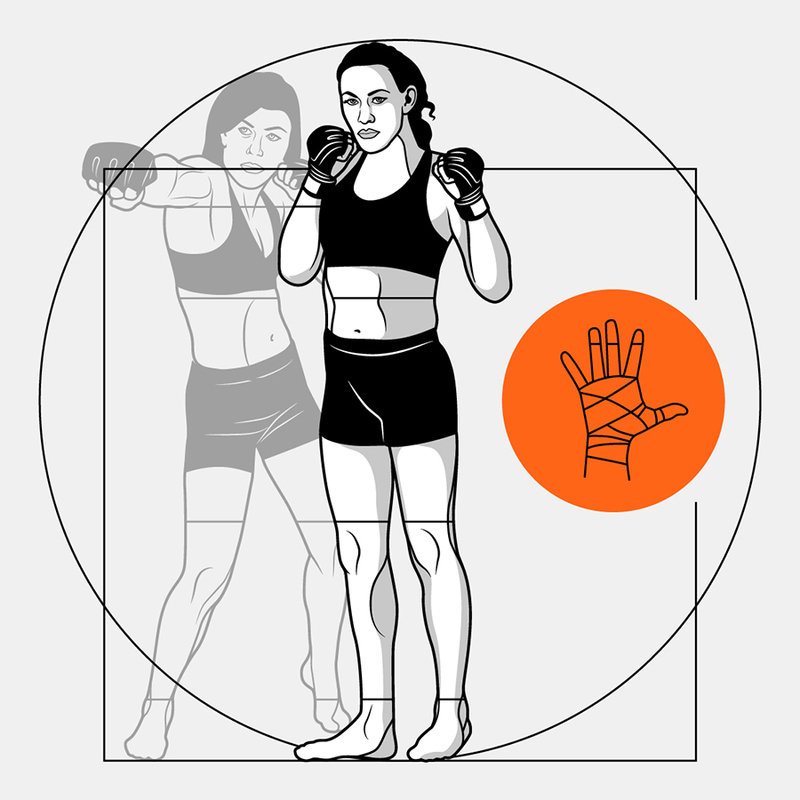 She absorbed 171 significant strikes in their title fight at UFC 205, according to FightMetric, and had only a little swelling to show for it. That came off the heels of a hard fought split-decision win over Rose Namajunas, in which the Polish Muay Thai fighter ate multiple stiff shots. Eight rounds against two of the best 115-pounders in the world has shown her ability to take punishment, while also dishing it out. 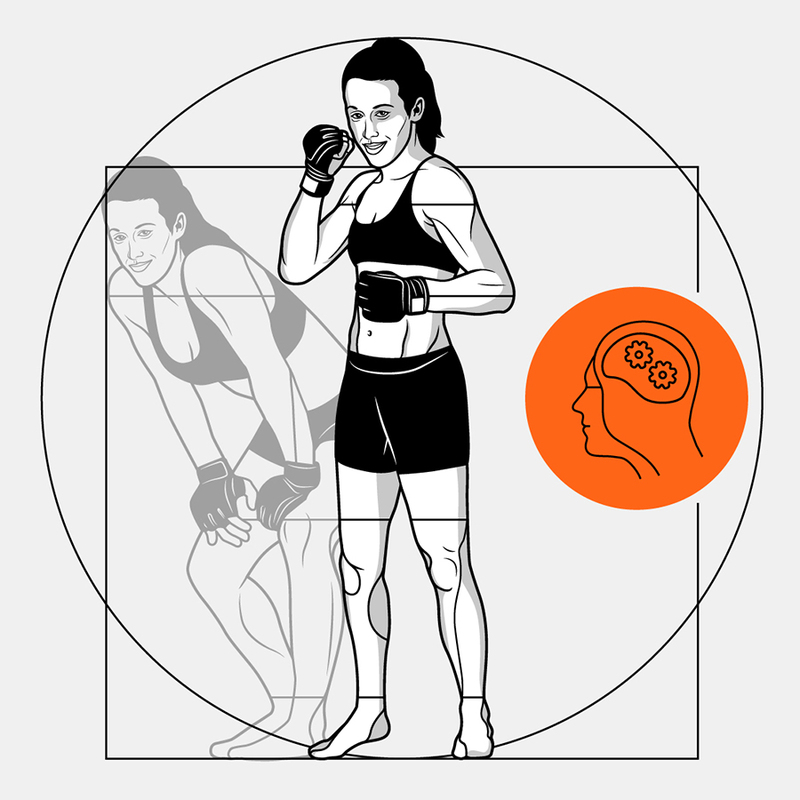 Letourneau has been in there with some of the sport's best fighters at both 115 and 135 pounds, and most notably put her toughness on display in a five-round loss to Jedrzejczyk at UFC 193. 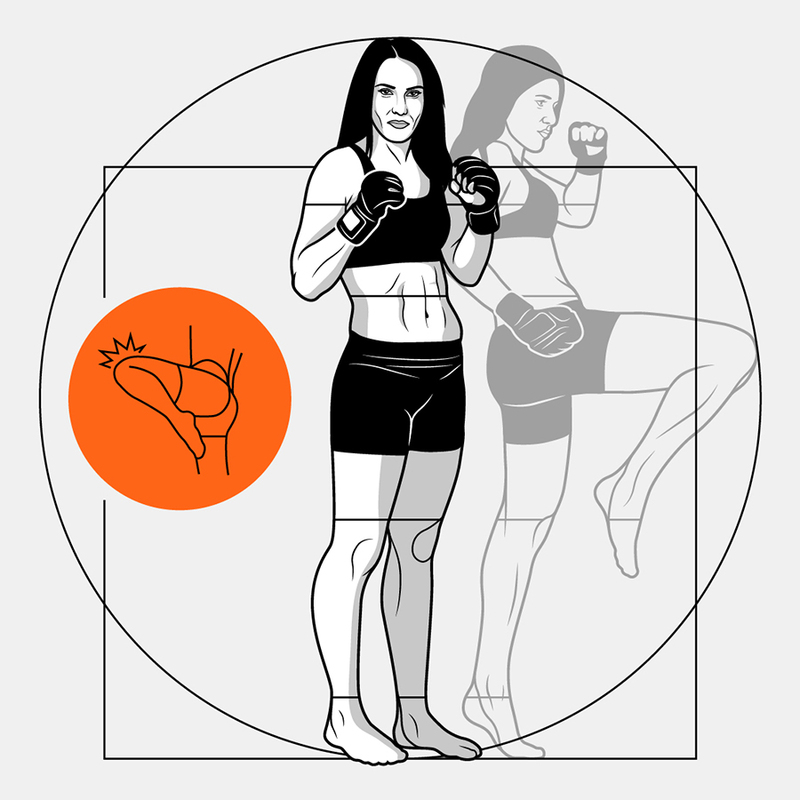 According to FightMetric, Letourneau absorbed 220 significant strikes from the champ, including 70 leg kicks, and developed massive swelling under her right eye and legs. Still, the Canadian fought and threw punches until the very end despite being down on the cards. She came into that fight a heavy underdog, but her will and determination to see the bout to the end impressed many in defeat. 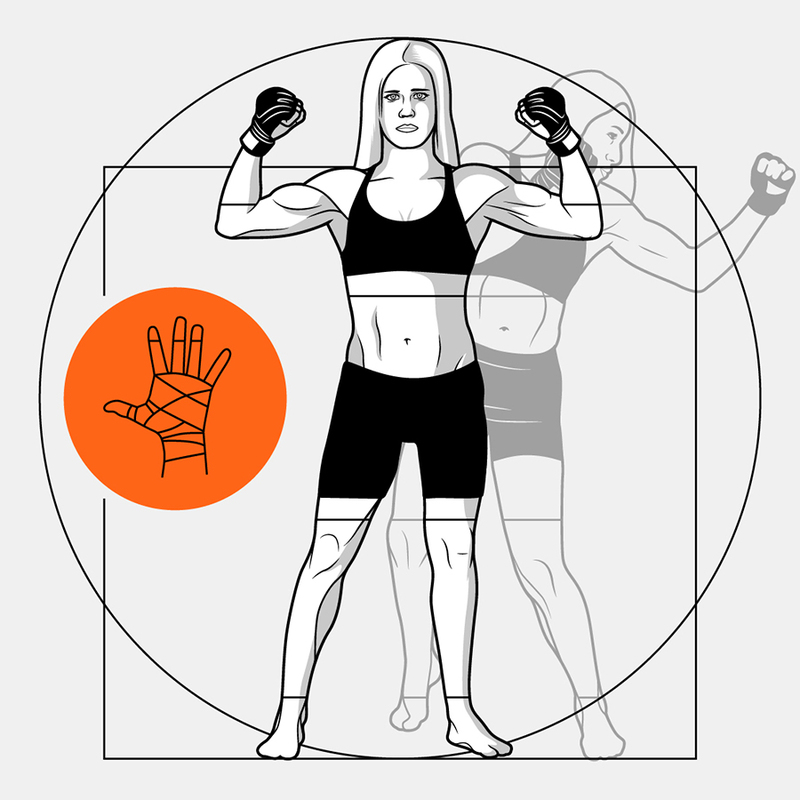 Holm's boxing ability stretches far beyond her time in MMA. The southpaw is a two-time The Ring magazine fighter of the year and retired in May 2013 as IBA and WBF female light welterweight champion; Holm also held the IBA, WBF and WBAN welterweight championships during a career that ended with a 33-2-3 professional record. Holm's historic bantamweight championship win at UFC 193 culminated with a head kick, but a number of blistering left hands set the stage for the biggest win of her career. Cris "Cyborg" Justino has uncommon striking power. She has 17 wins, 15 by knockout or TKO, and nine that came in the first round. Cyborg hasn't lost since her professional debut in 2005, and no opponent has survived to the cards since 2008. Her tactful aggression and raw power are unparalleled in women's MMA. McMann is the most decorated female wrestler in the UFC. At the 2004 Olympics, she became the first American woman to win a silver medal. She bookended that with a silver at the 2003 world championships and bronzes at the 2005 and 2007 worlds. If not for the legendary Kaori Icho, McMann would have a gold or two sprinkled in, as well. All three of McMann's MMA have been against current or future UFC champions. 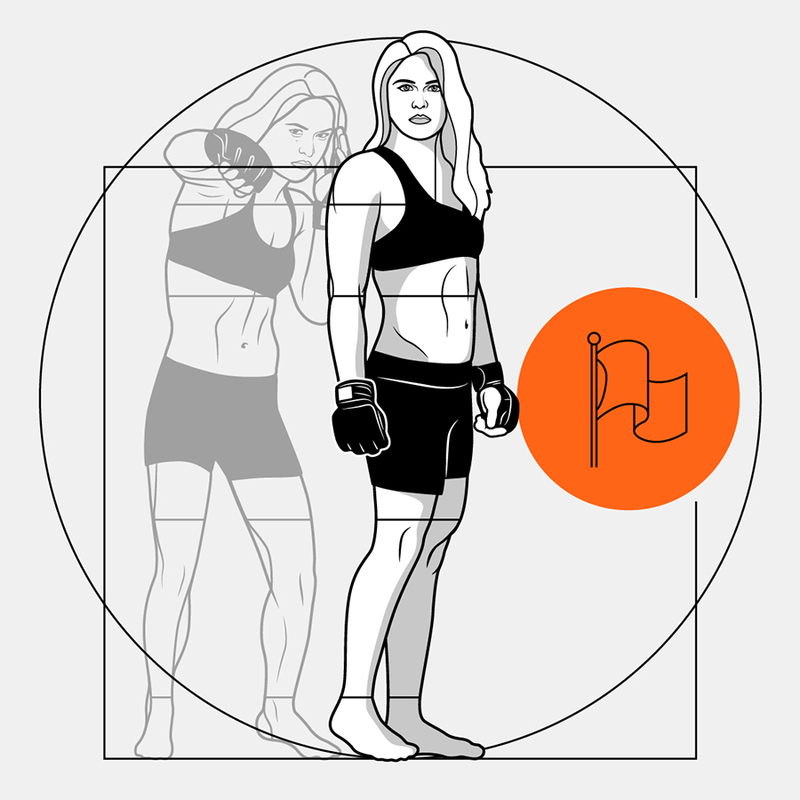 With one swift left kick, Holm changed the direction of women's MMA forever. It won her the UFC bantamweight championship and all kinds of "knockout of the year" awards, and it certainly wasn't a fluke; Holm's kicks are neck-and-neck with her punches as her most valuable asset inside the octagon. After a fighting career that saw three professional kickboxing fights, Holm won her first seven MMA fights -- five of which ended because of Holm's kicks -- to earn her shot in the UFC. Victories over the current and former UFC bantamweight champion -- each of which owe a great deal to Zingano's lethal knee strikes -- have put her atop this category. Zingano made a tremendous splash in her debut with a TKO victory (via knees) over Miesha Tate, which earned Fight of the Night honors. After more than a year out of action due to a knee injury, Zingano came back and weathered an early storm against current champion Amanda Nunes and laid in more devastating knees on her way to a third-round TKO. Joanna Jedrzejczyk is the queen of hitting without getting hit. She has landed 4.2 more significant strikes per minute than her opponents since joining the UFC -- the best ratio in the company's history. The strawweight champion's strike advantage in her four title defenses each rank in the top five all-time among UFC championship fights. 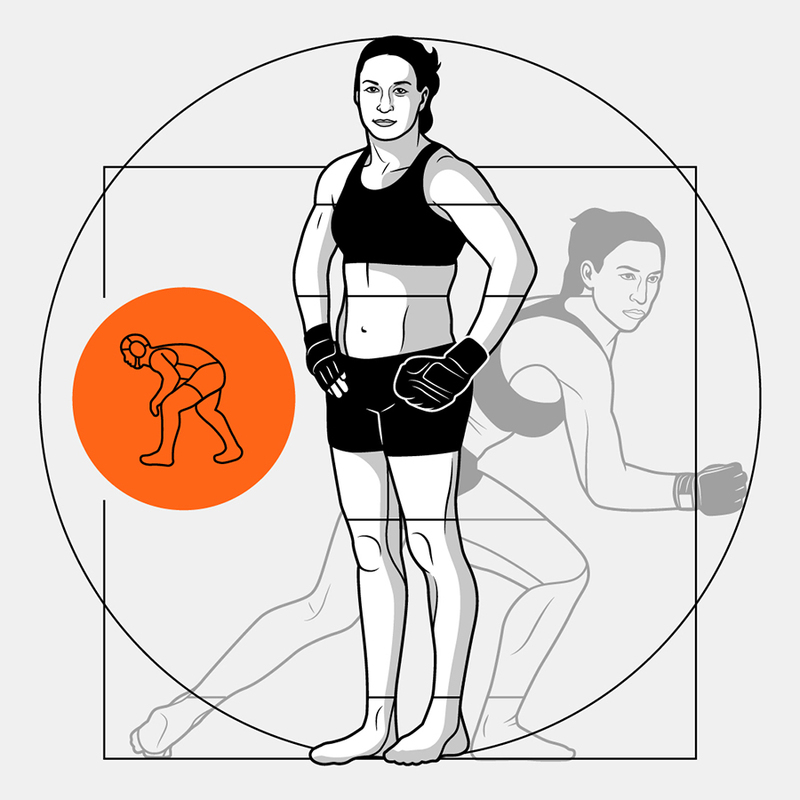 The former UFC bantamweight champion is one of the most prolific MMA fighters of all time -- and she reached this pinnacle thanks in large part to her judo skills. After winning a bronze medal in judo at the 2008 Summer Olympics, Rousey transitioned into MMA and utilized her prolific armbar to great effect; her first four professional fights ended in the first minute via armbar submission, and she won her eight professional fights with that move. In 12 career victories, Rousey had to fight beyond the first round only once.